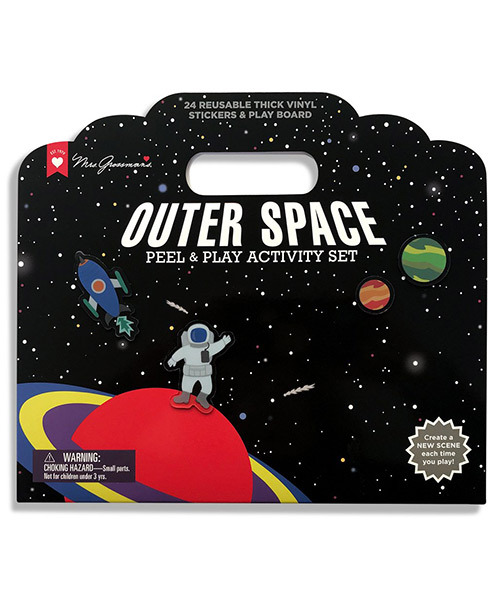 Outer Space Peel & Play activity set with 24 thick, reusable stickers featuring comets, planets, rockets, and more! Contains hours of fun and imaginative play. The activity set folds out into a reusable play board with a match & learn interior storage area. Easy to carry and peel, learn and play! Great for travel!